The British Society of Aesthetics reports, with great sadness, the passing of Professor Ronald W. Hepburn, on December 23, 2008. 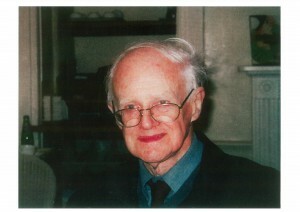 Hepburn was Professor of Moral Philosophy at the University of Edinburgh (1975-1996) and a long-standing member of the Society. His philosophical writings were marked by the acuity characteristic of the analytic tradition while enriched and deepened by his interests in phenomenology, literature and the thematic overlaps and interconnections between religious, aesthetic and moral experience. In recent years, he was best known for his ground-breaking work in environmental aesthetics. Ronnie often remarked that one’s philosophical and personal lives are intimately connected, each significantly shaping the other. This was reflected in his interest in intellectual autobiography, and in recent years he had made some progress on his own life story. His love of nature and the mystical-aesthetic experiences that motivated his philosophical thinking were grounded in a life-time of walking in the hills and mountains of Aberdeenshire and the Lake District. Ronnie shared a deep love of classical music with his wife, Agnes, a violinist and music teacher, although much of his writing on the arts focused on poetry. Donne, Wordsworth, Coleridge, Clare and Proust were among his favourites in poetry and literature. Ronnie graduated with an MA in Moral Philosophy with English from Aberdeen University in 1951. Afterwards, he began studying Divinity at New College (Aberdeen) but decided to return to the Department of Moral Philosophy for his PhD. Ronnie’s enduring yet sceptical interest in Christian ethics shaped both his thought and character. The agnosticism of his first book, Christianity and Paradox: Critical Studies in Twentieth Century Philosophy (1958), reflected the importance he placed on analytic philosophical critique for examining theological claims. While in Aberdeen, Ronnie worked alongside Donald MacKinnon and Antony Flew, both serving as important, early mentors. Other thinkers he often turned to included Kant, Marcel, and Otto. This dynamic set of influences shaped a philosophical approach which insisted upon a dialectic between perception and theory, phenomenology and analytic method, where each would be at hand to question and sometimes undermine the other. Ronnie was wary of fixed positions, and often preferred a critical metaphysical outlook which sometimes put him at odds with other philosophers. In his exploration of the links and boundaries between the aesthetic, moral and religious, his attention was drawn to wonder, the contemplative stance, imagination, the sublime, freedom, respect for nature, and the sacred. Ronnie brought this distinctive approach together with autobiography, narrative and the shaping of the ethical life to challenge moral philosophy’s preoccupation with rules and principles in his paper ‘Vision and Choice in Morality’, his contribution to an Aristotelian Society-Mind Association symposium with Iris Murdoch in 1956. In his landmark paper, ‘Contemporary Aesthetics and the Neglect of Natural Beauty’ (1966), Ronnie argued that the differences between aesthetic appreciation of nature and art, while certainly important, should not lead to neglecting the study of nature in philosophical aesthetics. Moreover, he argued that a preoccupation with the philosophy of art leads to only a partial understanding of aesthetic value, judgment and response. Among his concerns was to establish the place of particularity and unity of aesthetic experience and to examine the complex interplay of imagination, emotion and thought in this type of response. His rich, almost poetic analysis of these issues inspired a renewal of interest in aesthetics of nature (last seen in the 18th century) and set the agenda for what is now the growing area of environmental aesthetics. Ronnie’s essays are brought together in two volumes, ‘Wonder’ and Other Essays: Eight Studies in Aesthetics and Neighbouring Fields (1984) and The Reach of the Aesthetic: Collected Essays on Art and Nature (2001). In addition to the 1966 paper, several influential papers appear in this first collection, including ‘Wonder’ and ‘Emotions and Emotional Qualities’. The second collection is notable for developing a theory of imagination across two or three essays, and for two new, substantial essays on ‘Aesthetic and Moral: Links and Limits’. Ronnie’s final paper, ‘Aesthetic Responses to the Sky and Space’, will now be read in his absence at the opening session of the conference, ‘Celestial Aesthetics: the Aesthetics of the Sky and Heaven’ at Valamo Monastery in Finland in March 2009. Ronnie was a kind and considerate teacher, offering guidance on matters both professional and personal to colleagues and students alike. Colleagues at Edinburgh remember his seriousness − and modesty − in respect of his duties and obligations. During his time as Chair there, he insisted upon following the Scottish tradition of a Professor teaching the huge first year course. Many of us in the Society knew Ronnie through his regular participation in our annual conference in Oxford over the years (he most recently presented a paper to a plenary session in his honour in 2007). On these occasions, we will sadly miss his amiable company, his thoughtful contributions to discussion, and the generosity with which he shared his deep and broad knowledge of aesthetics. Given how active he was in his retirement, it will be a great loss, especially for those of us who anticipated with enthusiasm his incomparable treatment of some new philosophical problem.